The Middle East and North Africa office of Zurich Insurance has appointed Dubai-based The Event Company to manage an incentive programme in Marrakech, Morocco. A team of 40 from Zurich, including employees and a number of their clients, will be attending the 29th General Arab Insurance Federation Conference, taking place from 21-23 May at the Palmeraie Golf Palace. The incentive programme will run alongside the conference and is aimed at encouraging networking among staff and clients and engaging with potential new Zurich clients. 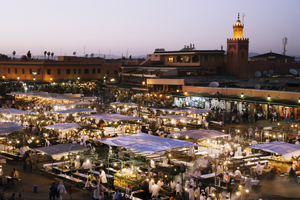 Activities will include evening dinners and a number of excursions and tours around Marrakech. As well as managing the incentive activities, The Event Company has also been tasked with arranging transport, accommodation and logistics. This is the second time The Event Company has worked with Zurich Insurance. In April, the agency organised an event for the company as part of the Swiss Business Council annual gala dinner held in Dubai.